This is an image I took last summer in Yellowstone National Park. 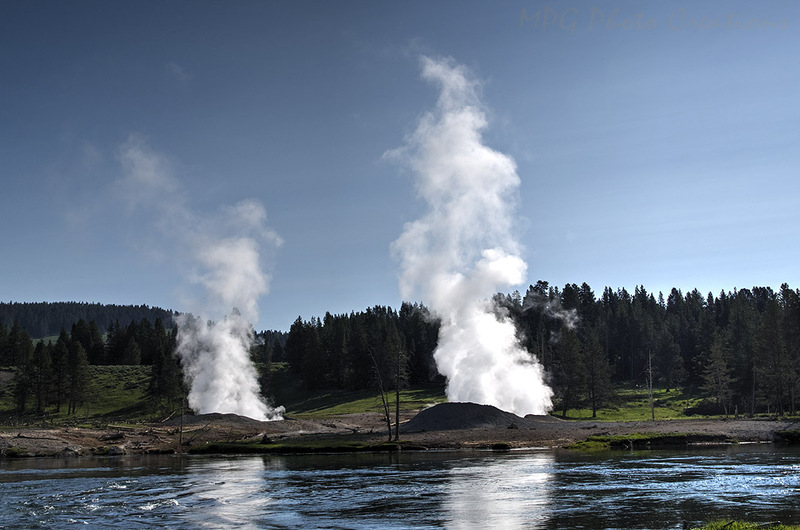 These are two geysers steaming away on the Yellowstone River in the park. I put a slight HDR effect on this to bring out some highlights.